Enclosure fitted to living area. Double glazed awning windows fitted to aluminium post work. 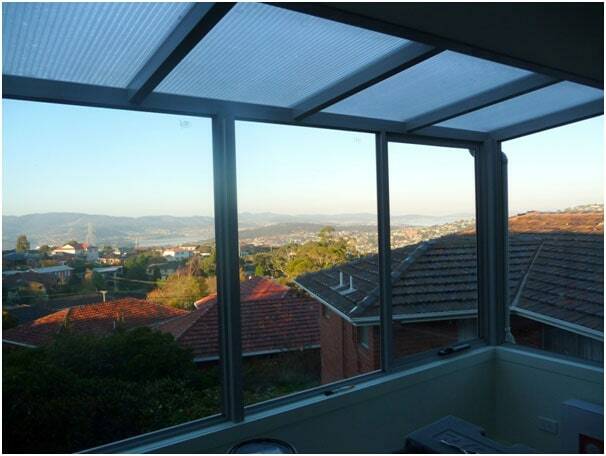 Roof is constructed from Aluminium roof bars and 10mm twin wall poly carb. All Enclosures are custom made to suit your requirements. Glazed in single or double glazed glass. Whether its to let in more light or create more space we can help you design a room to suit your familys life style.